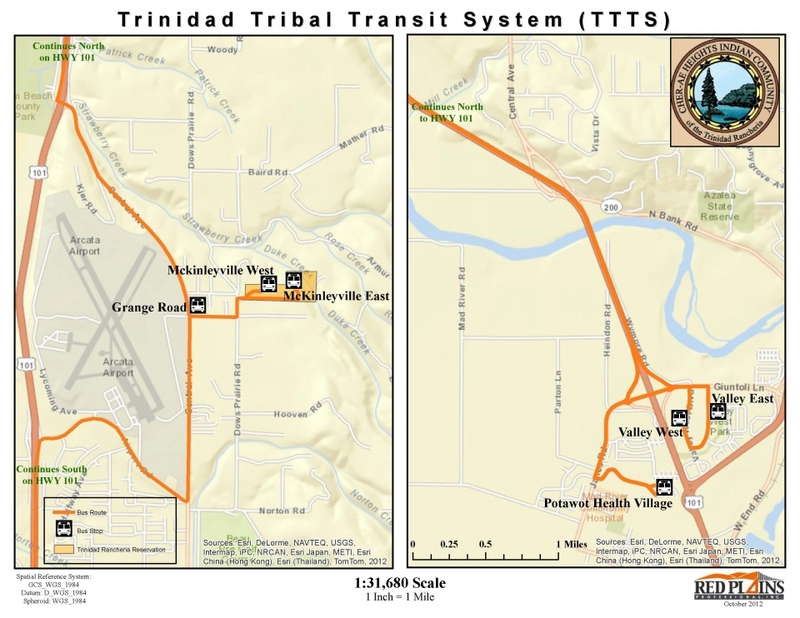 Trinidad Rancheria Transit Plan - Red Plains Professional, Inc.
Red Plains has worked closely with the Tribal Staff and the Community to develop the first ever Comprehensive Transit Plan for the Trinidad Rancheria. 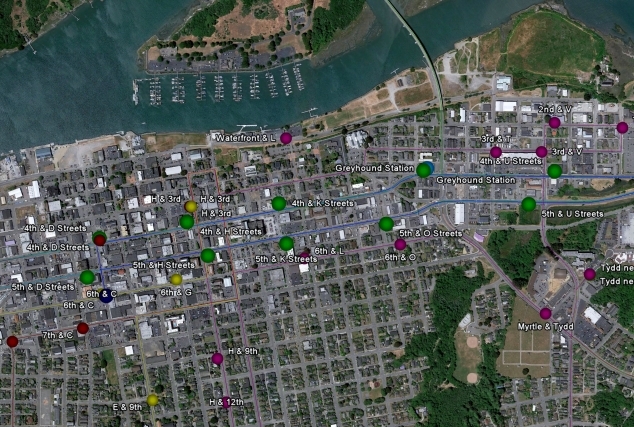 The plan was initiated by a community presentation and a well-responded-to community survey. 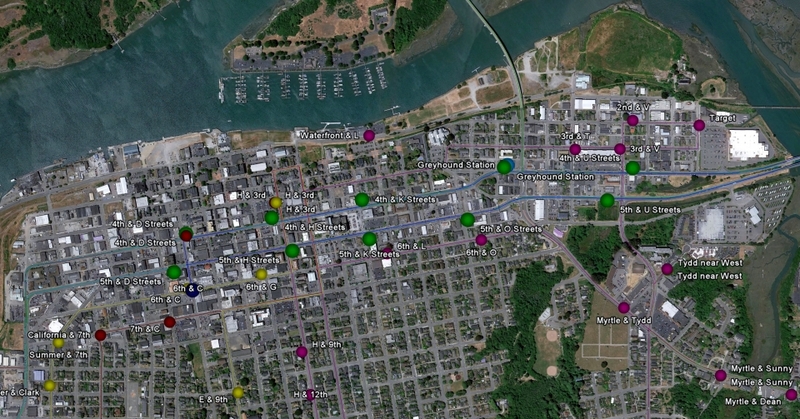 The community survey results allowed RPP staff to craft a unique tribal transit system to best and most efficiently connect tribal members to the surrounding communities and other transit providers. The plan included the Trinidad Rancheria, City of Trinidad, Arcata, Eureka, McKinleyville, and spanned multiple counties. 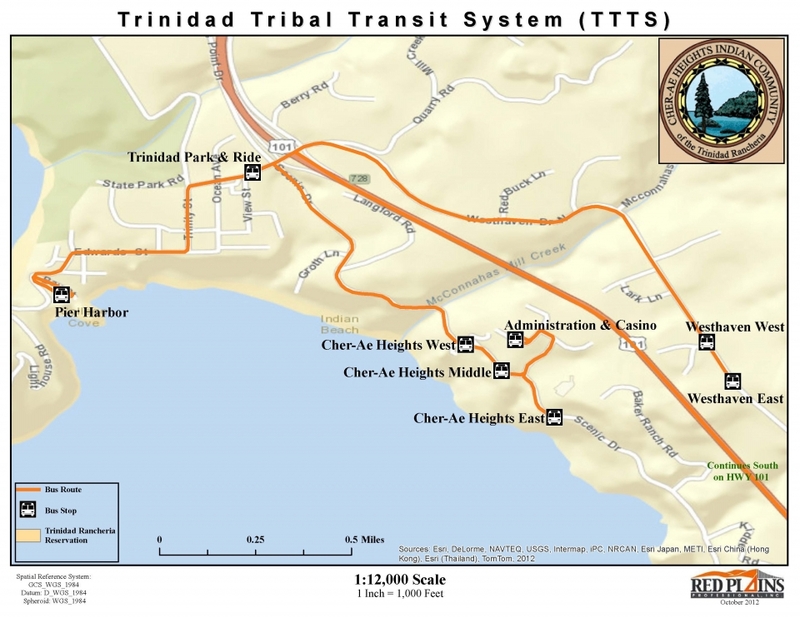 The plan is set to detail the startup and maintenance costs required for the Tribe to initiate the Char-Ae Heights Transit Program.